For all 128 FBS college football teams. 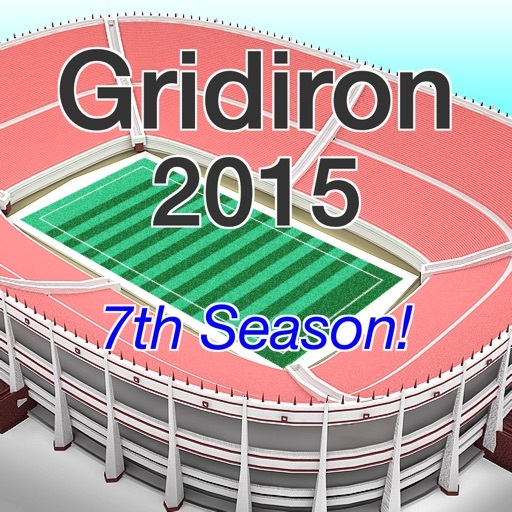 Following-up on last-season's near 5-star rating, this season's "Gridiron 2015” is just as good. 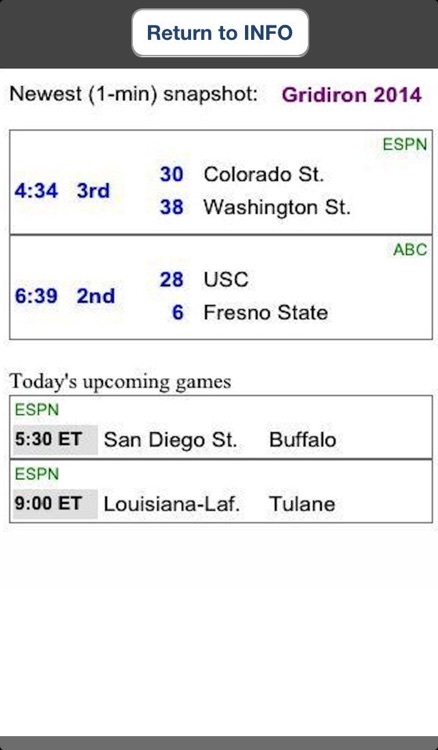 Live scores for underway games compiled every minute throughout gamedays (if web connected). This app is cleverly designed to not depend upon a persistent network connection. Great for iPads and great for iPod-touch users. 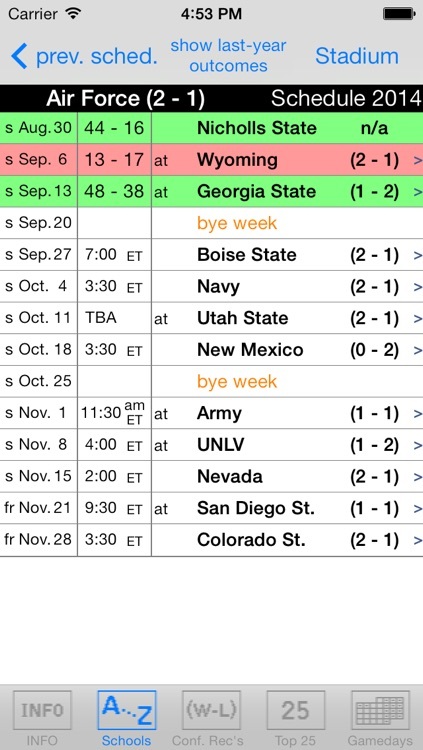 Final-scores verified and updated throughout gamedays for schedule coloring. The app even includes last-year's results to remind us. 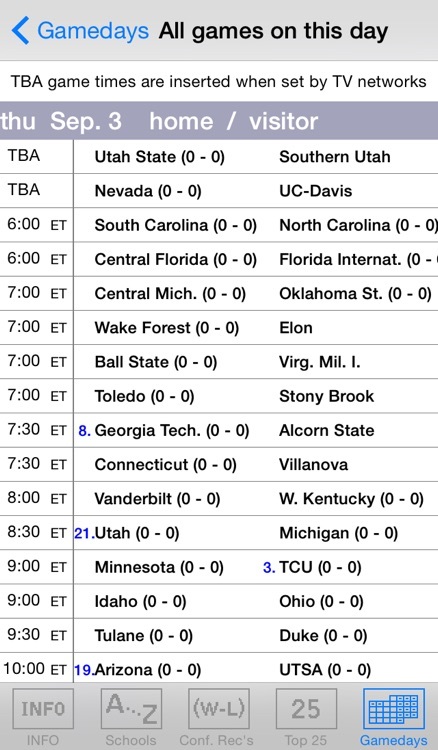 - regularly web-compiled list of live scores for underway games. 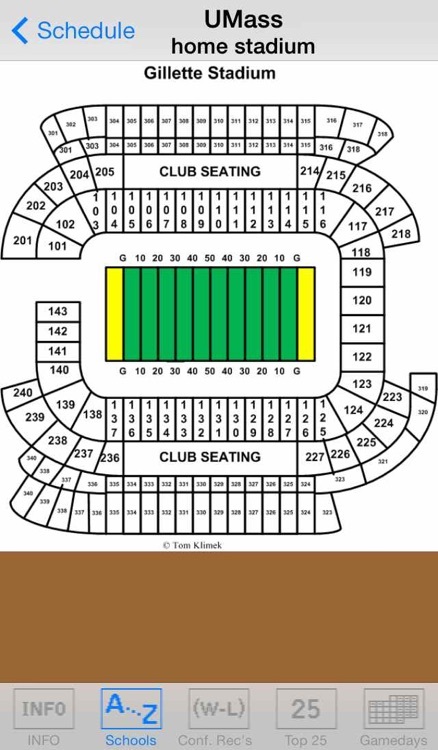 - pre-stored stadium seating charts. - list of every game played on any given day. - current rankings of top 25 teams. - a Restart-Update that checks at re-start for newer data (if WiFi connected or iPhone). Unlike most other sports apps, "Gridiron 2015” is cleverly designed to not depend upon a persistent network connection. All features of this app function without a network connection. Occasional network access provides the most current data (game-times, outcomes, top25, conf-records) which is typically updated throughout saturdays with final scores. 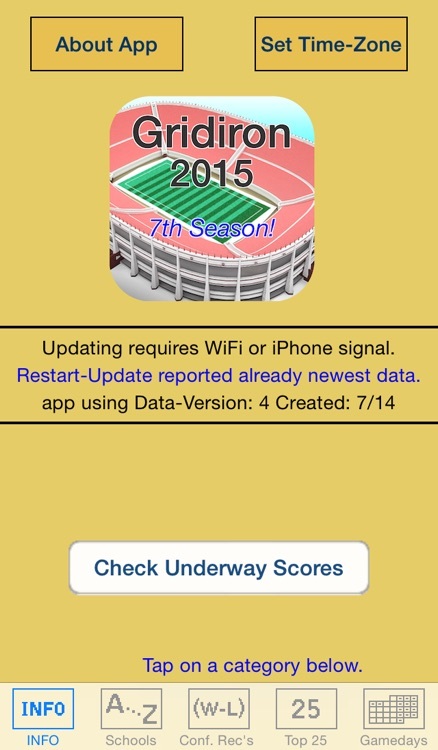 "Gridiron 2015” is a very handy app for all college football fans.